Randy Stout has been serving San Angelo and the Concho Valley for over 40 years. He has a broad range of legal experience and is known for his aggressive pursuit of his clients’ legal rights. 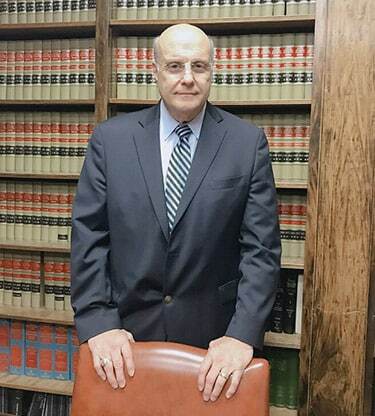 In addition to his experience in private practice, Randy previously served as the assistant district attorney for Galveston County, Texas and the District Judge for the 340th Judicial District Court of Tom Green County, Texas (1986-1989). As a former District Judge, Randy has a unique insight into the litigation process, and he is able to use such experience to further the interests of his clients. Born and raised in San Angelo, Randy helped lead the Bobcats to the state championship in 1966. After high school, Randy was awarded a football scholarship to the University of Texas where again he found success on the football field as part of the 1969 and 1970 National Championship teams. It was at the University of Texas where Randy met his wonderful wife Julia on the way home from football practice. After completing law school and workings as an assistant district attorney, Randy and Julia decided to move back to San Angelo to raise their family and serve their community. Randy is the proud parent of three children, all of whom are practicing lawyers, and four grandchildren. Randy is an active member of Holy Angels Catholic Church. He is also strong supporter of the YMCA, Curisslo, and SAISD student athletics. He is a lifelong member of the Texas Exes and served as past president of the San Angelo Chapter of Texas Exes. In recognition of his efforts in the legal community in 2014, Randy was awarded the Criselda G. Paz award by the equal Justice volunteer program for exhibiting diligence, community, contribution and professionalism in his legal work throughout the Concho Valley.